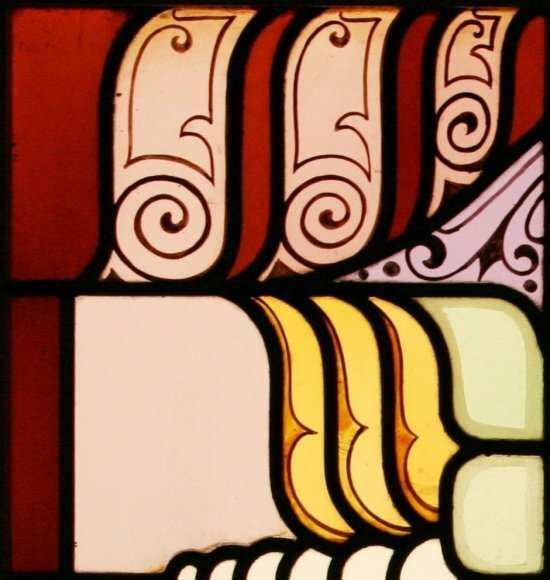 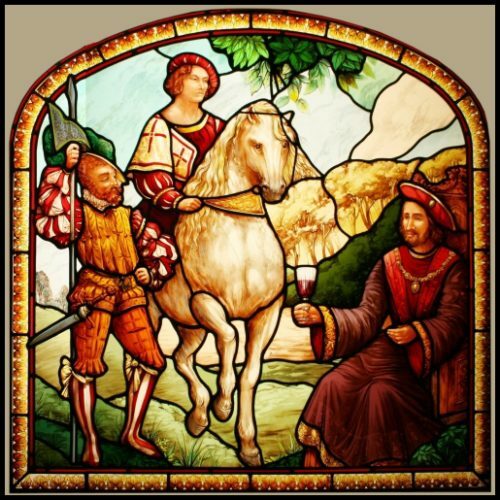 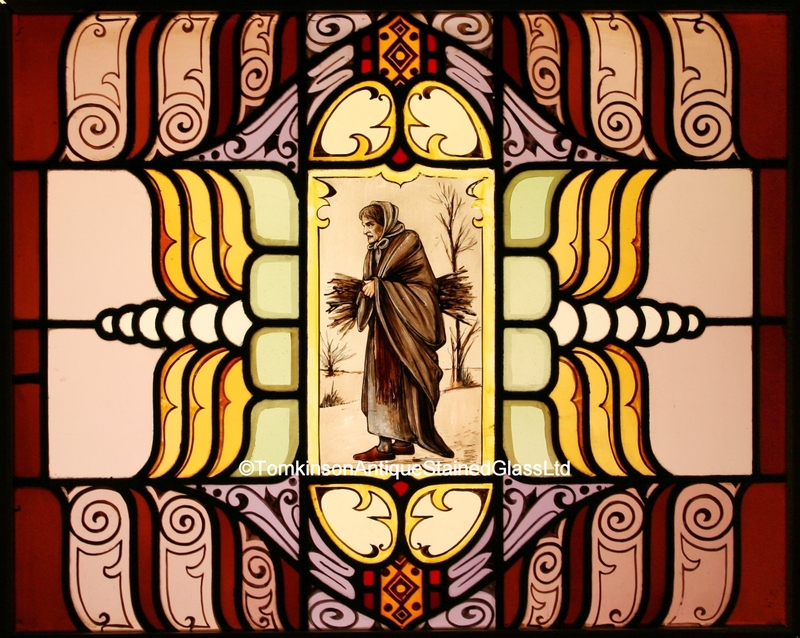 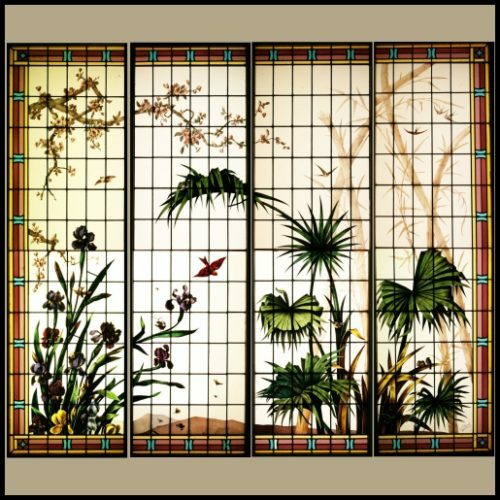 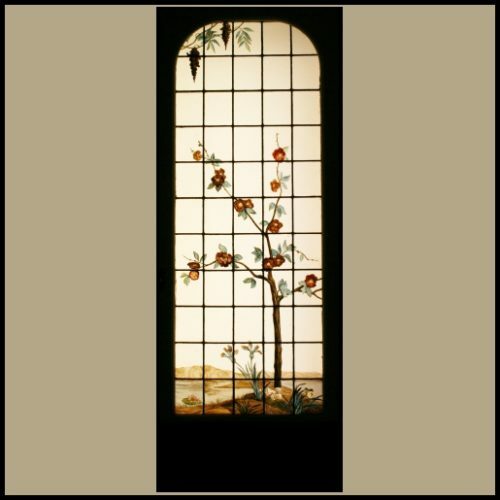 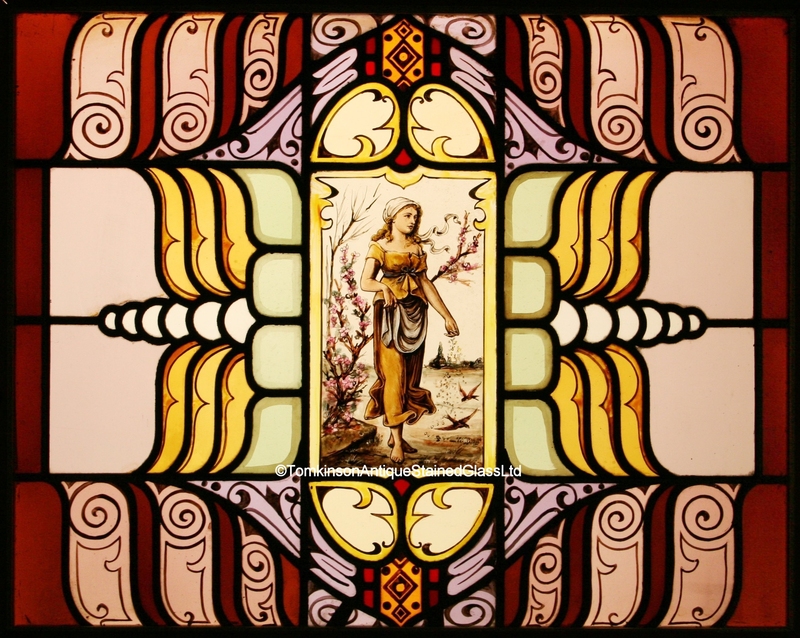 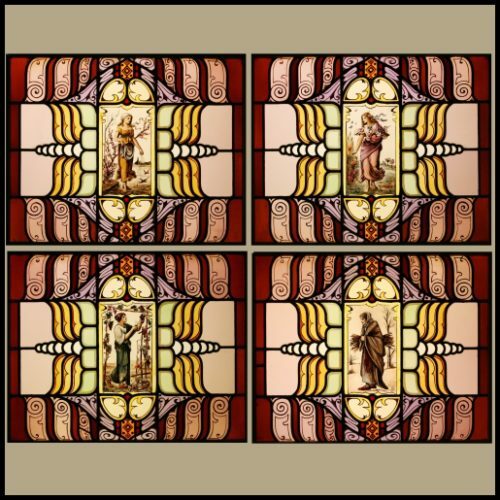 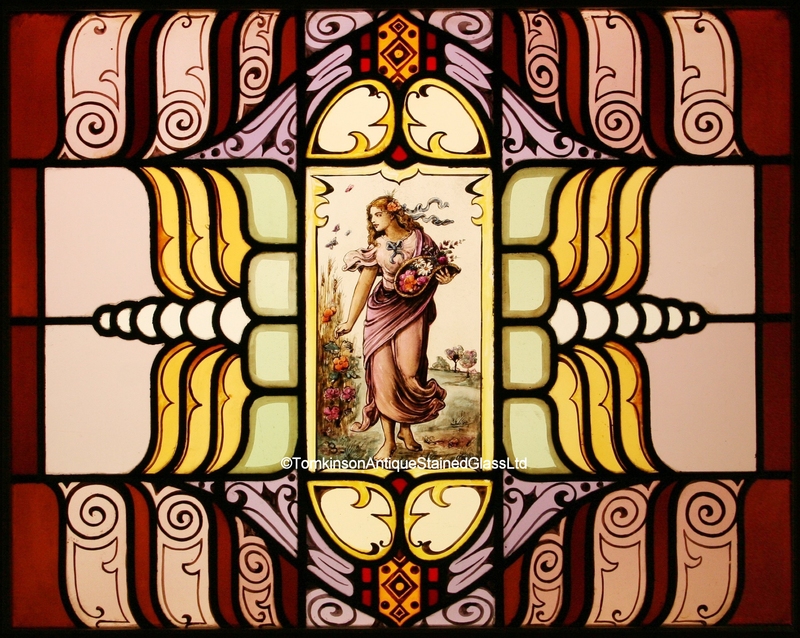 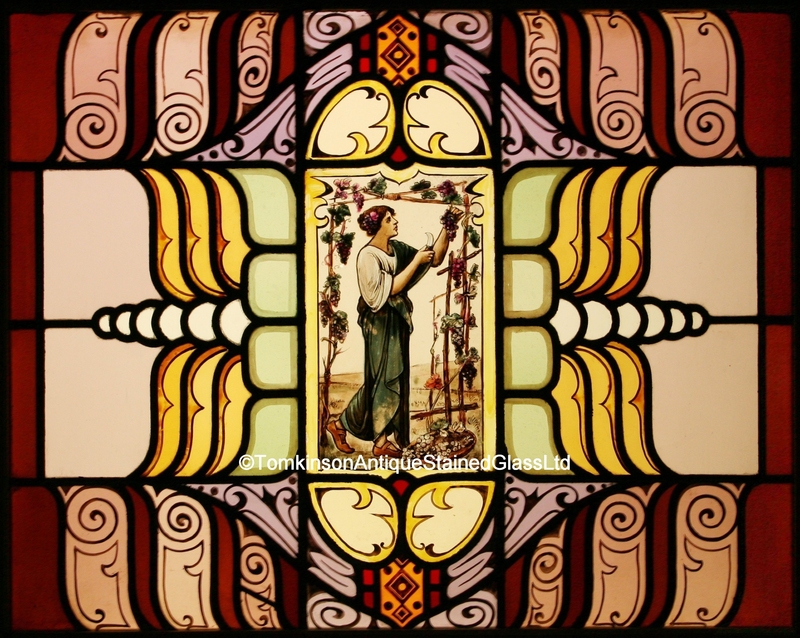 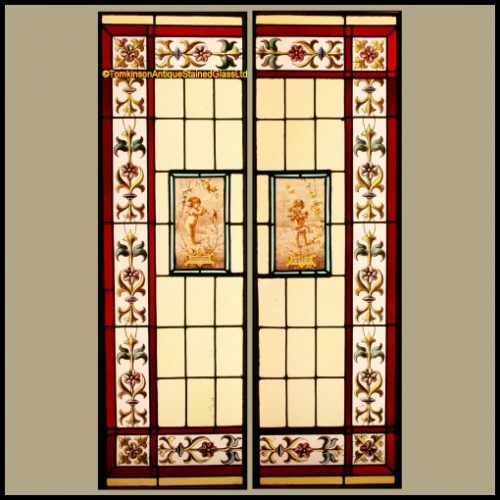 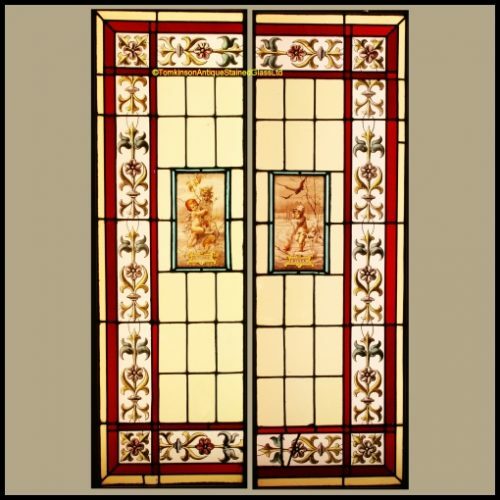 Set of four continental stained glass window panels, c1900. 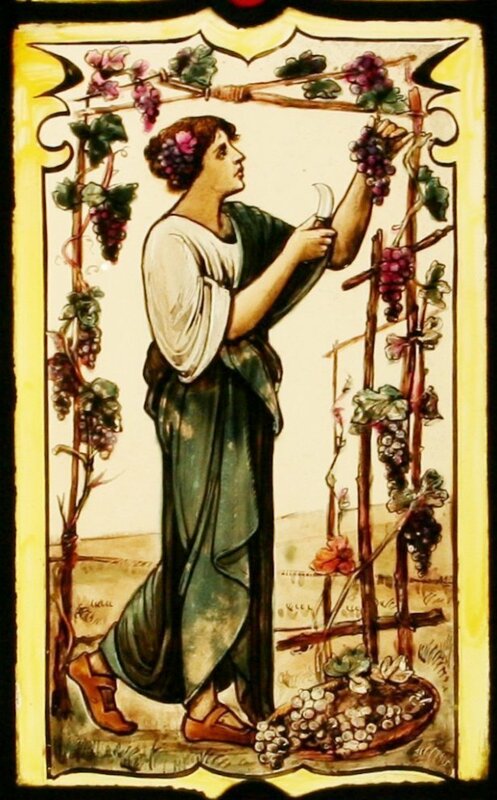 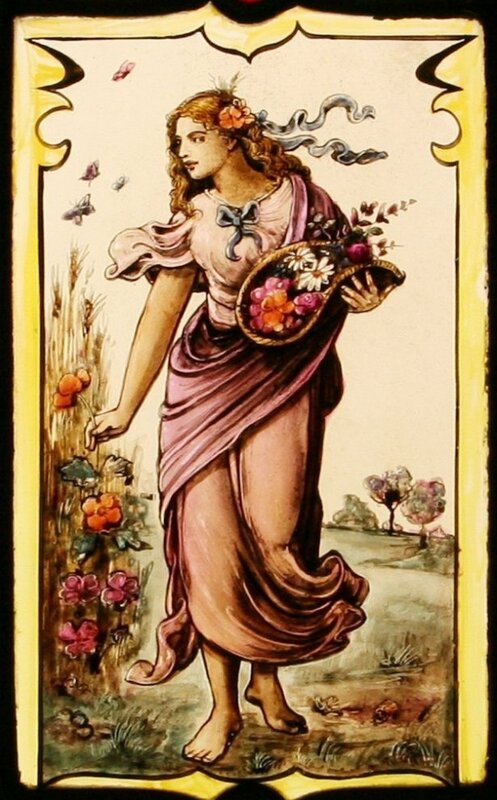 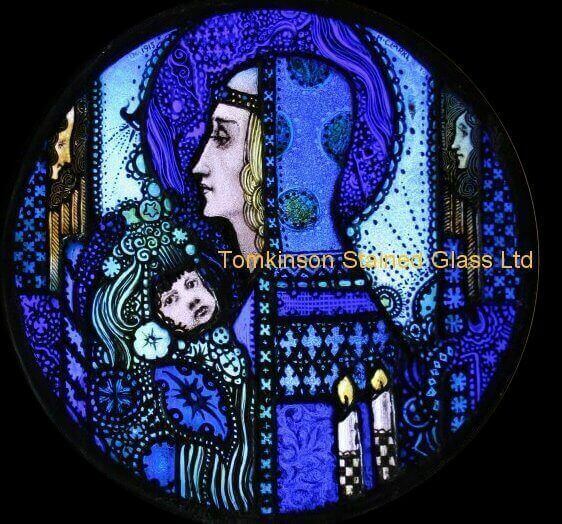 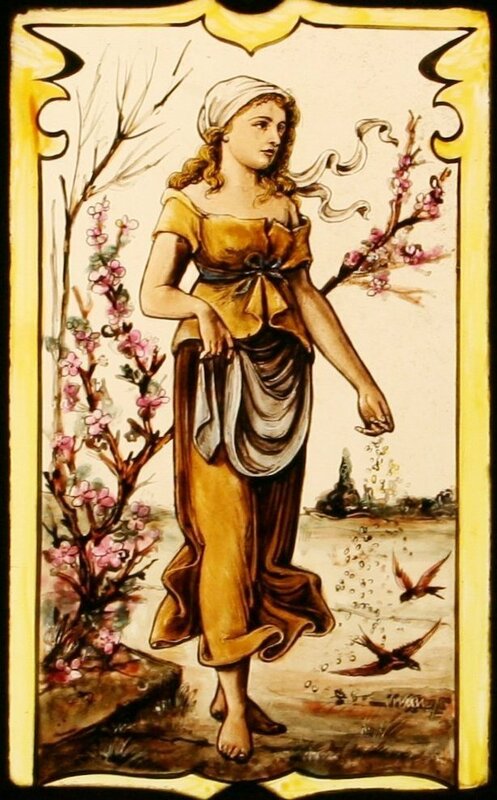 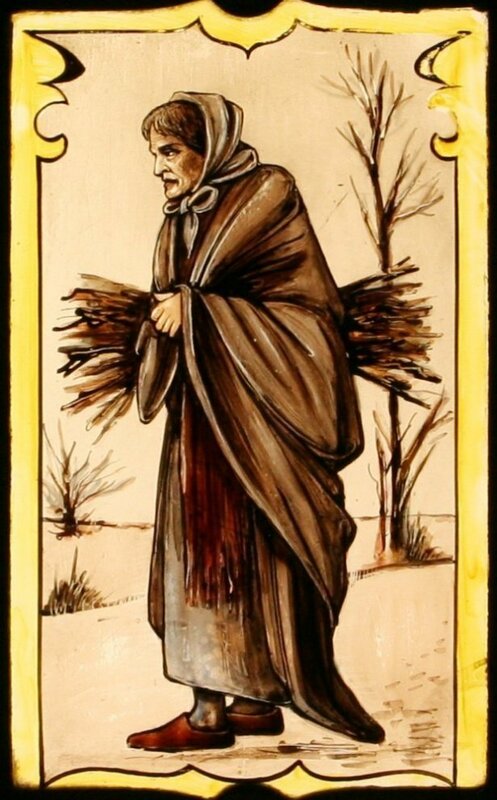 Each leaded with coloured glass and hand painted in Art Nouveau style with maidens doing seasonal chores. 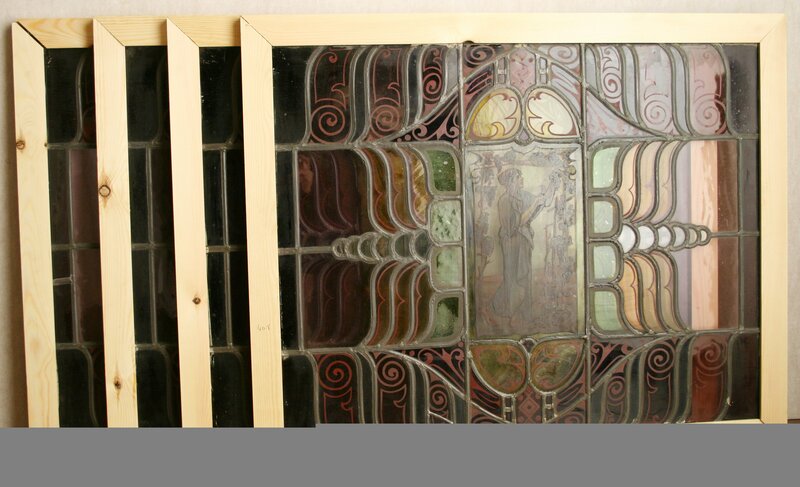 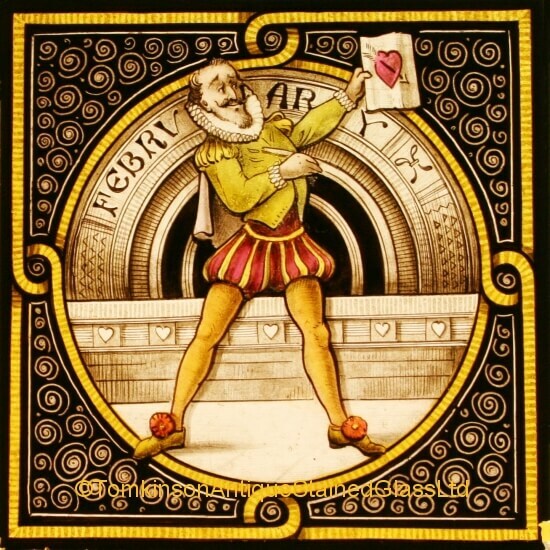 Super quality using silver stain and enamel paints, also in excellent condition and now in pine frames for shipping/handling purposes.